Interacting human activities underlie the patterns of many social, technological, and economic phenomena. Individual humans participate in various activities every day in an apparently random manner. 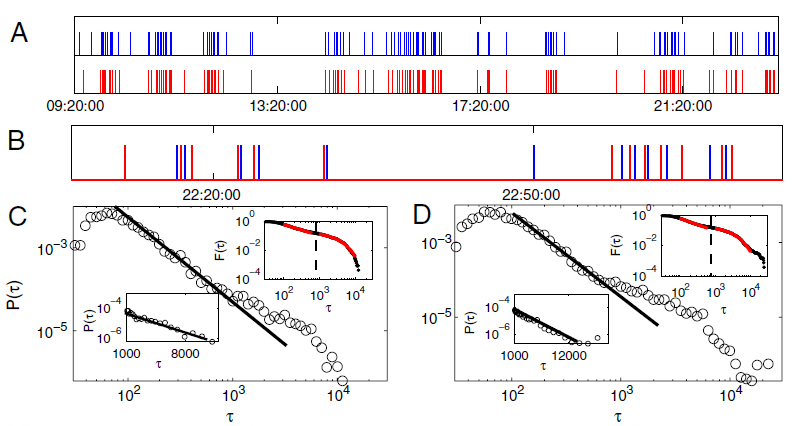 Recent evidence from various deliberate human activity patterns, such as e-mail and letter communications and Web surfing, has shown that human activities are non-Poissonian, with bursts of frequent actions separated by long periods of inactivity, leading to power-law heavy tails in the distributions of inter-event time. We are interested in understanding the impact of interaction between humans on the relationship between individual and collective human dynamics by analyzing and modeling empirical human activity data. Y. Wu, C.S. Zhou, J. Xiao, J. Kurths and H.J. Schellnhuber, "Evidence for a bimodal distribution in human communication", Proc Natl Acad Sci USA, 107, 18803 (2010). Y. Wu, C.S. Zhou, M.Y. 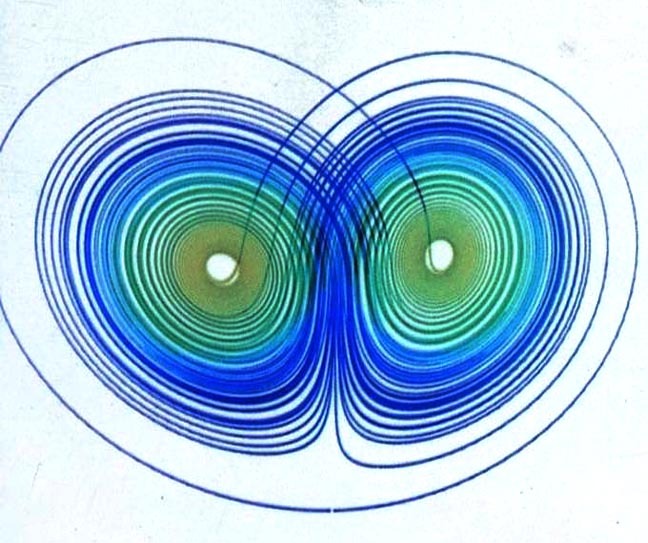 Chen and J. Kurths, "Human comment dynamics in on-line social systems", Physica A, 398, 5832 (2010).